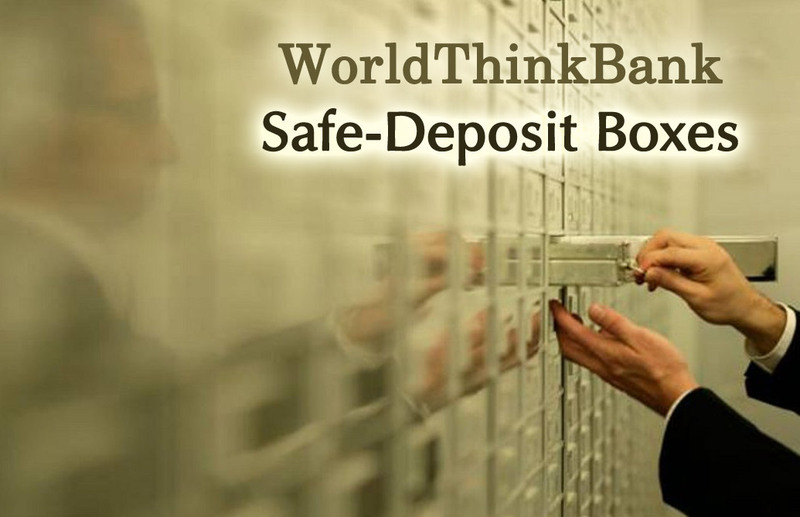 For the user’s easy access to the Internet, WorldThinkBank “Safe-Deposit Box“, which includes the special topic that concerns him, we have specialized and classified the Safe-Deposit Boxes into subject-units, so that the user can immediately and quickly choose the “safe-deposit box” which concerns the specific subject, which he wishes to use and deposit it by his personal e-mail ……………. Users are requested to deposit ‘Requests’ in their email, which do not exceed 120 words. Instead, for full-text submissions describing in detail “Creative Exhibitions” – which have no legal impediment of theft of elements or ideas by third parties, – they can be published up to 600 words. WorldThinkBank allows you to freely select and open any mailbox, research collaborative requests, and “exhibitions” of specific creators, submit your own collaboration proposal to third parties or third parties who publish their “findings” and “Requests for their cooperation” by people or companies or public agencies, from any country in the world. Over the centuries, millennia, and the tens of millions of years that our “living planet” is experiencing on its everlasting journey, on the edge of our Milky Way, it continuously covers the “new layers of earth” human cultures and mutations of its natural Resources. Nowadays, scientists with their personal electronics can study the Earth and Sea subsoil and collect all kinds of “secrets” from ancient cities to vast underground deposits and caves that require very high scientific study and exploitation. These individual scientists sometimes need financial or other aid to complete their studies and their quests. There are willing “Shareholders” who will want to work with you. The large, state-of-the-art space centers investigating our Solar System, our Milky Way and the Universe, have organized WebPages through which researchers and observers are informed about Space Achievements and New Space Discovery. Making Cosmology more friendly and useful to modern man. There are individual laboratories or companies that specialize in Research and formulation of biological preparations based on historical records, their local medical literature – their oral tradition, in special natural products produced by the nature of their country or their particular homeland. These products, as long as they are recognized and certified for their effectiveness by the Official Pharmaceutical Authorities, are filed in this Box, informing patients of their existence. There are special cases of improving health or treating patients undergoing separate medical procedures by Doctors – Researchers who have applied revolutionary therapies other than current classical medicine and have succeeded in curing their patient. The official announcement of these methods in the “Safe-Deposit Box” of these methods, with full research data, data and results on a sufficient number of patients, in line with Medical Ethics, also falls within the competence and interest of the Medical Community as well as the Domestic and International Pharmacy and Biotechnology or Nanotechnology companies, favors in every case the progress of Medicine. There are charismatic children, boys and girls, in all the countries in the world. They have, some special talent, spiritual, mental or motor, but it is difficult for this talent to become known to people, or companies or social bodies, who can show it. And use it. A short biographical text, referring to the talent of a boy or girl up to 16 years of age, with a photograph and a specific “request” of cooperation to those who are interested in using this particular talent, can make the young person into a global personality. Many students and supervisors are also seeking cooperation with other Polytechnics around the world dealing with common issues. This “Box” aims to bring together students and Polytechnics to meet shared purposes and goals. Students, students, professors, scholars, writers and scholars of recognized prestige have written throughout the world, who has written Scientific Papers, books and writings that must be printed and distributed, or distributed electronically through the e-book service. There are still publishers looking for talented writers, original titles and topics of interest to the public. “Box”. There is somewhere in the world, the one who will be interested in working together. Doctoral and theoretical researches on Philosophy, History, Religion, Social and Political Sciences. For the cultivation, integration, exploitation and financial gain that can be gained from this work, it sometimes needs cooperation with other Universities, as well as searches of financial bodies, whether public or private, who can help to complete these spiritual quests. This “Safe-Deposit box” will help you submit your “Request” or even your Study, looking for both participation from foreign universities and financial support from financiers that will be able to display and showcase your Academic work. Are you an inspirational technician and have you succeeded in any use that improves the conditions of the applied Technology to date? Do you believe that the “Technical Implementation” you have designed, that you have experimented on, whose positive results you have demonstrated will be useful for Science, for Society, for your fellow humans? Do you ask for partners or financial aid for the professional use of your application? Did you find and discover in the earth chemical or other elements, caves or archaeological finds or buried treasures of every kind? Did you find live or other elements in underwater surveys? Did you discover aerial surveys, chemical or other elements, or bird species, or revolutionary flying methods that reduce gravitational effects? Have you fought and succeeded in creating a new patent useful for science, society and the family? Are you a useful patentee, and are you asking to disseminate to your local or global society what you have achieved? Do you ask for special partners or sponsors to use your patent? Did your effort succeed in a new Invention? Do you believe that its implementation in the Scientific Community and Society will be successful? Are you asking, perhaps, for technical or other cooperation with potential partners? Are You a Researcher? Did you achieve a good result in a Scientific or Technical Research? Do you want to share this result? Do you ask partners to use the results?